When you've got a lot of work to do, and it's school holidays, well there's no other option in my mind than to bugger off on a road trip. 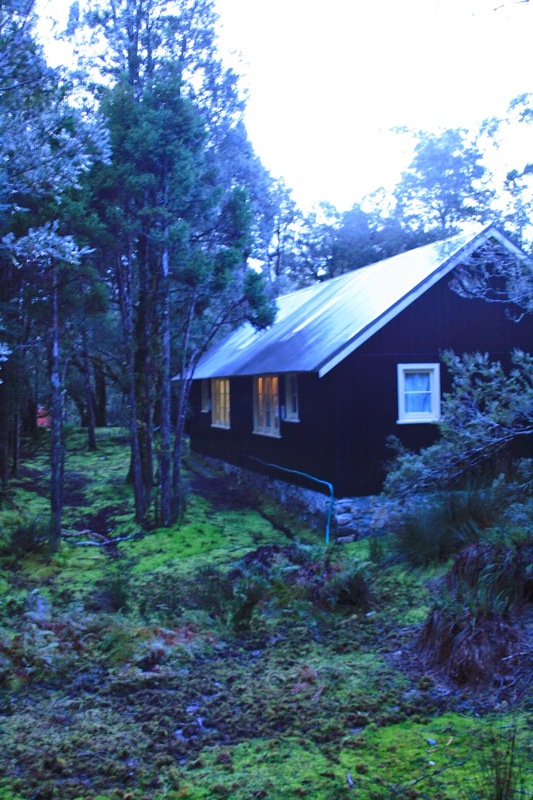 After scrambling to find last minute accommodation, we managed to book the last two free nights at the Waldheim Cabins in Cradle Mountain National Park. Being a good five hour drive away, it fit the road trip bill perfectly. Rustic cabins in an alpine national park are as irresistible as they sound. The park is a hot spot on the Tasmanian tourism trail and by day, is as busy as Pitt Street. But in the late afternoon, when the boom gates close and the crowds have gone home, it really is just you with a handful of other families in the quiet of the most magnificent of national parks. A little cabin in the woods, with four bunk beds, a little table with four chairs, four cups, four plates, four spoons and four knives. It's amazing how liberating having no stuff makes you feel. With big windows facing out into the forest, despite being warm and cosy, the cabin lends itself to spending as much time as you can outdoors. And that's what we did, armed with thermoses of tea and hot chocolate, field glasses and jelly snakes we walked and walked and walked. Around glacial lakes and through ballroom forests, over alpine heaths, across stony moors and buttongrass bogs. The cabins are nestled behind a replica of a lodge called Waldheim, meaning forest home in German, built by an Austrian immigrant and his Tasmanian wife Gustav & Kate Weindorfer around 1912. Now a museum, here they lived and hosted many visitors with hearty food, warm beds and long guided walks through the magical landscape. I found their story so fascinating and so inspiring, one of struggle and hardship but also one of great achievement. I came away with a greater understanding of what is so special about a cabin in the woods. It's where "there is no time and nothing matters" as Gustav Weindorfer wisely proclaimed. And when the pressure's on and it's school holidays, I can think of no better place to be. Fellas called Gus are so wise. Such an amazing area...when we walked around the lake on one wild, wet, windy & cold day we were lucky not to have many people around. We felt as if we had walked into another world....I was waiting for the cousin of the Loch Ness monster to pop it's head up from the dark lake! I'm lucky to live in a big-ish house but whenever we go away we always stay in small places. It reminds me I can live with less, that internal space is a luxury but external space is a necessity for us. Sounds like absolute perfection, if only I didn't live on the other side of the world I'd be there in a heartbeat! And such evocative photos, makes me wish for winter!